These are beautiful! I especially love the cloud with the raindrops it reminds me of home, Seattle. Wow your jewelry is so creative and beautiful…I could look at it all day! 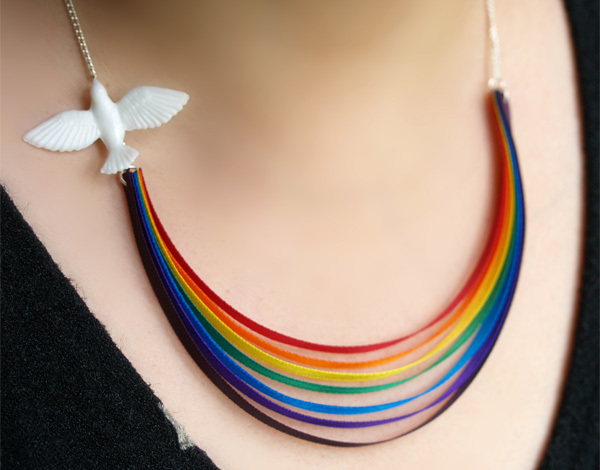 Love this colorful rainbow necklace named “Here comes the Sun”. 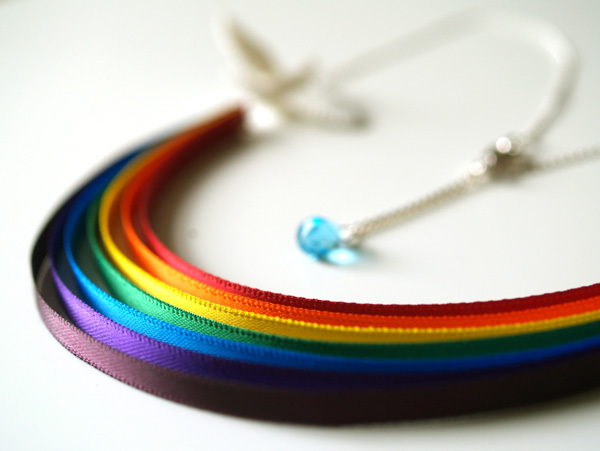 I love this necklace! It’s gorgeous! I wouldn’t normally wear something like that, but I really like it! I think I would actually wear that! Awesome! So in love with these!! Hooray for payday on Friday! Wow! 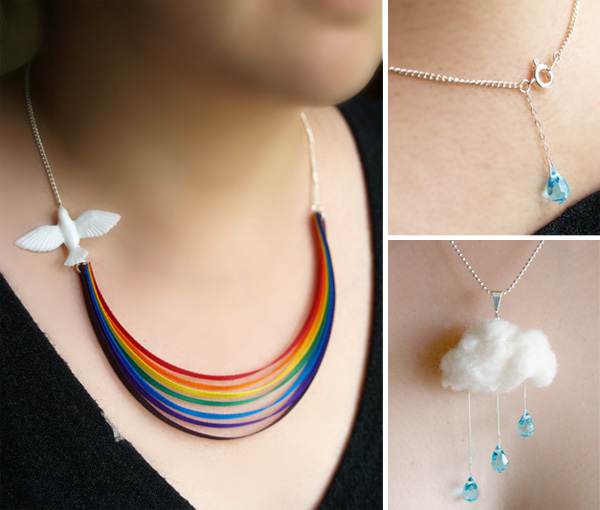 That is a beautiful necklace. I love them both. How original! Do you sell them on Etsy? you should!